Candi Athens (Greg’s sister) is a licensed agent who joined Greg to collaborate their strengths into a productive and dynamic real estate team. Candi has lived on the peninsula all her life, making her intimately familiar with the towns and neighborhoods that make living here so unique. She currently resides in Atherton with her husband (Dr. Nick Athens), four children (John, Erika, Angelo and Olivia) and two English Bulldogs (Phoebe and Stella). Candi's own market perspective and practical experience in serving the peninsula enhances their team's success by providing an unrivaled level of attention, commitment and energy into every transaction. Raising 4 children (2 sets of twins) has expanded Candi’s knowledge of the many educational, recreational and social options available for kids of all ages in the area. In fact, her children alone attended ten schools, from elementary through high school. 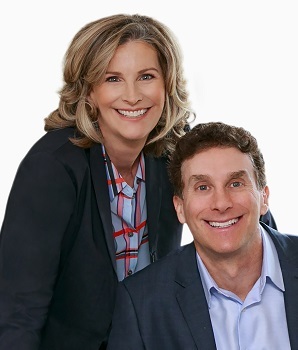 As a brother-sister team, Greg and Candi work seamlessly together and provide an unparalleled level of service and responsiveness to their clients. With the power of two, they provide double the effort in helping their buyers find a home, marketing their listings worldwide for their sellers, and constant attention to detail for both. It is a unique and successful partnership and one that we believe you will appreciate and enjoy. Please consider Greg and Candi as your partners in your next real estate venture.